Lenovo Philippines has proven its presence in the local scene, and the company wants to capitalize on its continued success by expanding its reaches to Iloilo to offer its services at a much grander scale. There is now a Lenovo Exclusive Store at the 3rd floor Cyberzone Area of SM Iloilo to let consumers in the area reach the company much easier. Iloilo City is one of the bustling economic cities in the Philippines due to its fast economic growth. According to the National Competitiveness Council, the city currently ranks as the 2nd top city for Government Efficiency here in the country. Investors have been motivated to invest in the rich lands of Iloilo all thanks to its business-friendly atmosphere as well as its consistent governance that have resulted to its impressive economic growth. 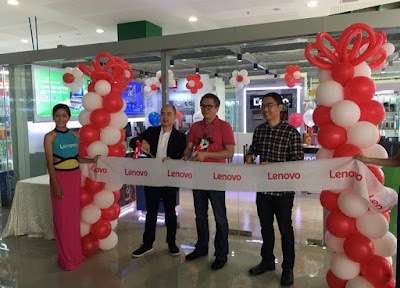 At this time, the company now has 22 Lenovo Exclusive Stores in the Philippines since it launched its first concept store at the Mall of Asia back in 2007.